This family is descended from Sir Nicholas Langrish, Knight, who was seized of the Manor of Langrish, Hampshire, in 1273. The Irish branch is descended from Rafe, or Ralph, third son of Nicholas Langrishe, of Langrishe. Ralph Langrishe, of Bordon, died between 1542-59; the third in descent from him was Major Hercules Langrishe (1594-1659), Carver in Ordinary to Queen Henrietta Maria, who prevented the arrest of the "Five Members" by CHARLES I.
JOHN LANGRISHE (1660-1735), son of Hercules Langrishe (the first member of the family who settled in Ireland), became proprietor of the borough of Knocktopher, County Kilkenny. 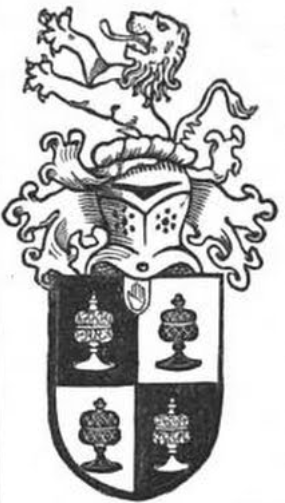 Mr Langrishe, High Sheriff of County Kilkenny, 1696, married firstly, Alicia, second daughter of Harry, 2nd Baron Blayney, and widow of Thomas Sandford, of Sandford Court; and secondly, Miss Sandford, daughter of Colonel Sandford; but had issue by neither of those ladies. THE RT HON HERCULES LANGRISHE (1731-1811), of Knocktopher, MP for Knocktopher, 1761-1800, who was created a baronet in 1777, denominated of Knocktopher Abbey, County Kilkenny. Sir Hercules, who was a member of the Privy Council, represented the borough of Knocktopher in the Irish parliament for forty years, during which period he ranked amongst the most distinguished of its members, and was the first who advocated and obtained a partial relaxation of the most atrocious code of laws which oppressed the Roman Catholics of Ireland, a code that consigned 80% of the population to unmitigated and grinding slavery, and reduced the whole of the state to semi-barbarism. Adela Constance; Maria Cecilia; Mary Isabella; Frances Alice; Norah Elizabeth. Miranda Grania; Georgina Emma; Atalanta Sue. Victoria Anna Jean, b 1986. 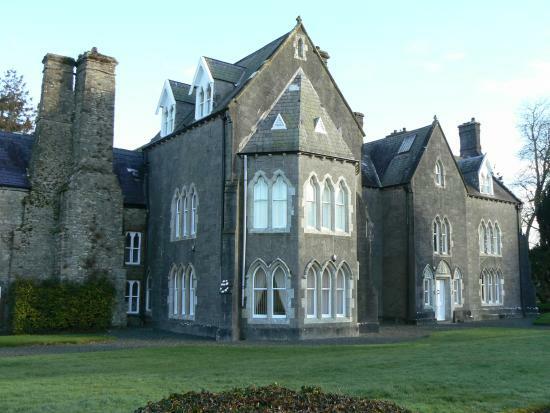 KNOCKTOPHER ABBEY, Knocktopher, County Kilkenny, is a house which incorporates the remains of the first Carmelite friary in Ireland. 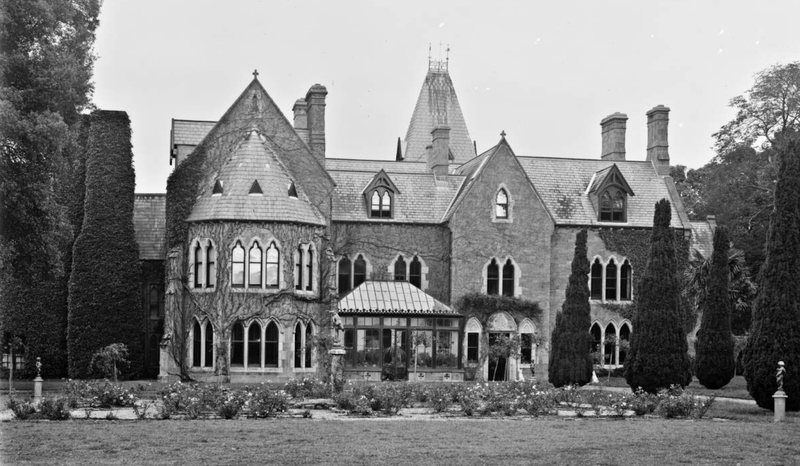 It was rebuilt ca 1866 in the High-Victorian-Gothic style, following a fire. 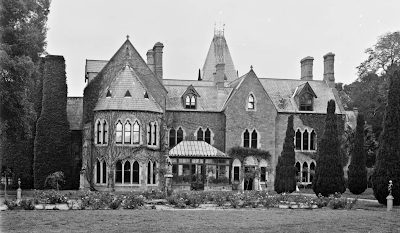 The house has trefoil-headed, mullioned windows and several gables; high roofs; and a pyramidal-roofed porch tower. The Abbey remained in the family until 1981.